Through March 1, 2017, we invited artists to submit original artwork that could be reproduced on the reusable shopping bags we distribute in our Michigan, Nebraska and North Dakota stores. 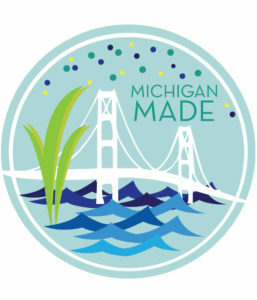 In total, we received 81 design submissions, which we then narrowed down to three finalists for each state. 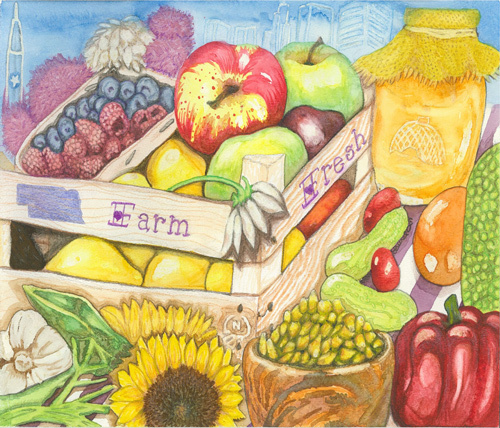 Congratulations to Laurel Allen, Janelle Lomsdal and Alivia Murphy, whose winning designs will be featured on limited-edition reusable grocery shopping bags sold in our corporate-owned stores this fall. 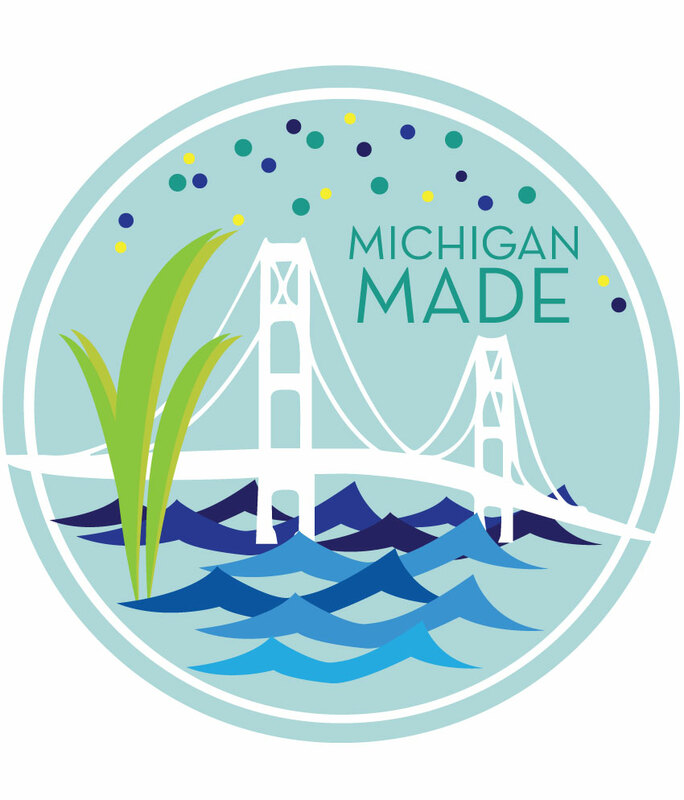 Learn more about their inspiration and the SpartanNash Reusable Bag Design contest in our official press release. Jule Kurzawa – Omaha, Neb. 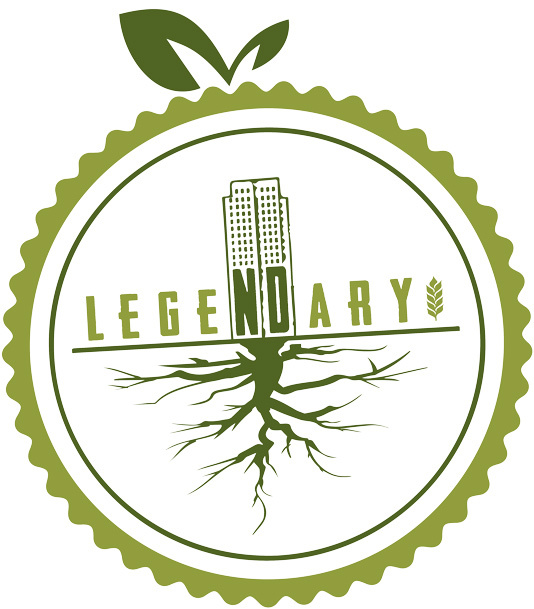 Nebraska, “The Good Life,” is one of the great farming states of the nation, and its nickname of “Cornhusker State” refers to its most valuable crop. 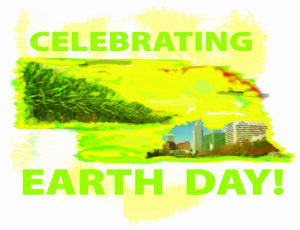 The expansive heartland of the United States is represented in my design, rich with subtle beauty. This is the state of NE painted in Photoshop done in my abstract style. 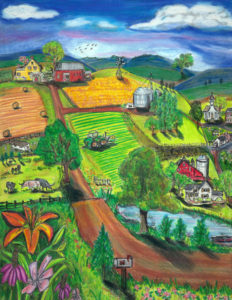 There is a cornfield to represent the local farmers and there is also the skyline of Omaha infused in the painting. My bag design represents the state of North Dakota. The fields and sunflowers pay homage to the state’s prominence in agriculture. 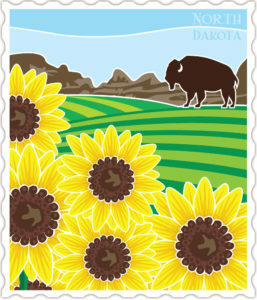 North Dakota is the largest producer of sunflowers in the US. The bison (pronounced bizon if you’re a local) is symbolic from the ones that roamed the prairies, the champion NDSU bison from Fargo, to the monument of the world’s largest one in Jamestown. Finally, in the horizon, I have the beautiful badlands from the western part of the state. Anne Dramko – Bismarck, N.D. 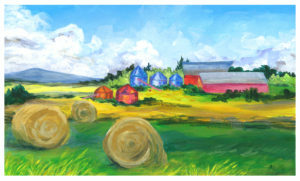 This painting is especially near and dear to me because it is an image of the farm buildings that now stand on my great grandfather’s former homestead in Dunseith, ND. The land there is so beautiful, and still being farmed with wheat these many, many years later. 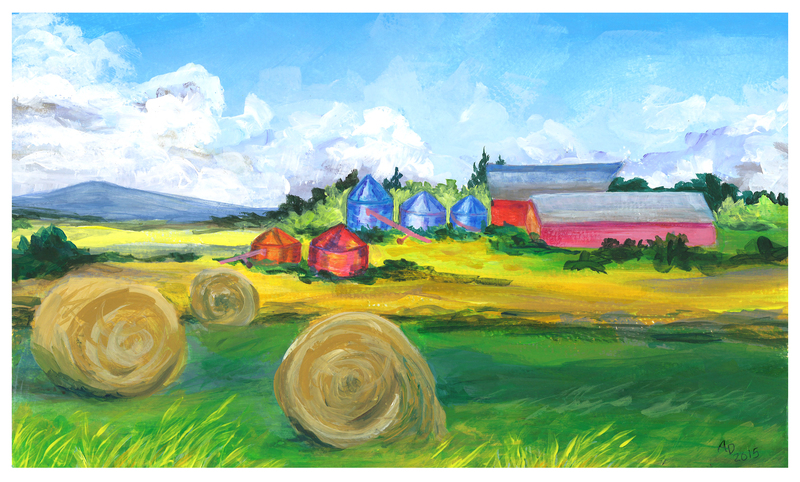 I loved the whimsy of making the silos and barns bright, fun colors, but the hues of the landscape itself are the true colors that met my eye when I was out there of a sunset. Ah! North Dakota! 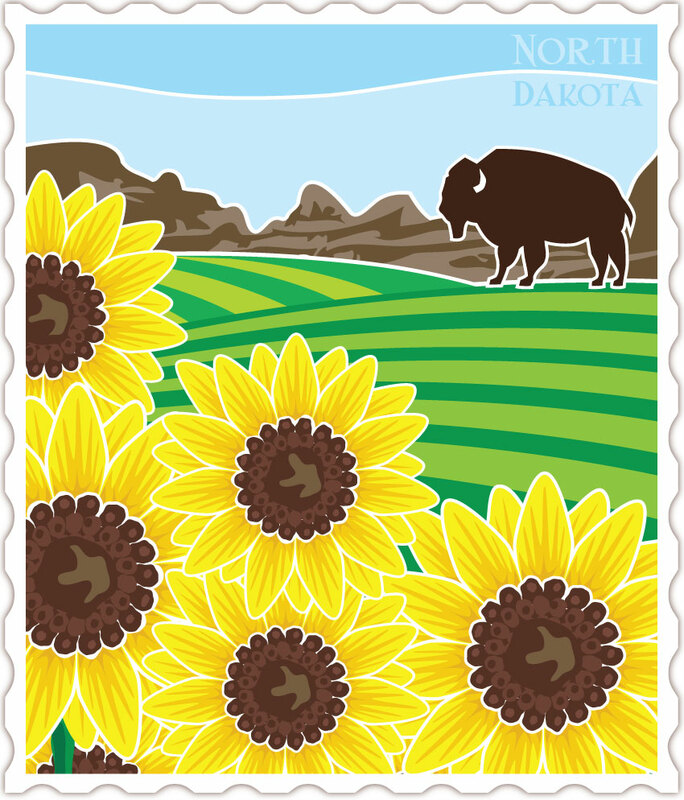 Ashley Kramer – Bismarck, N.D.
My design shows the North Dakota State Capitol Building with roots signifying that it is the ‘roots’ of North Dakota. 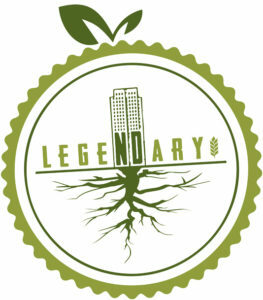 And on the ‘Welcome to North Dakota’ signs, it states we are nothing less than legendary! I have lived in North Dakota my whole life and I guarantee it will forever be in my heart. This is my home and I couldn’t be more proud! Justice Culbert – Vassar, Mich. 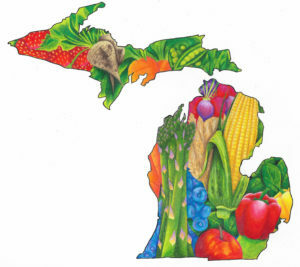 Thank you to our Michigan farmers for growing fresh fruits and vegetables for our great state! Kristin O’Leary – Grandville, Mich. Simple design that follows the basics and can be used to decipher your own interpretation. 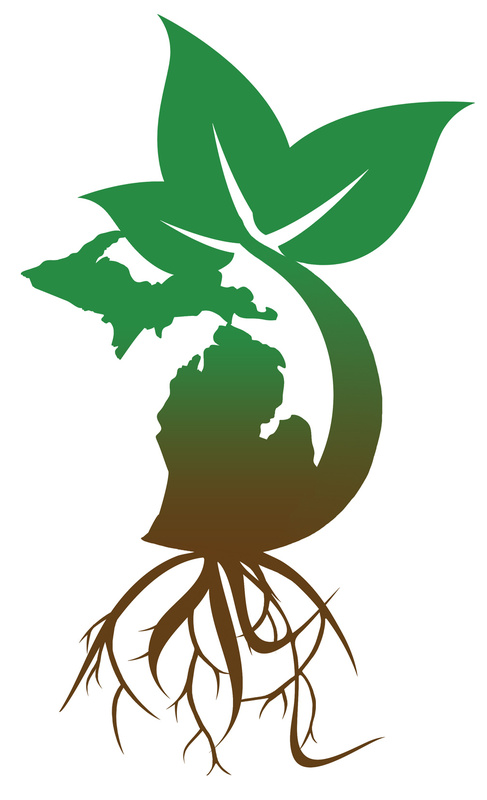 Whether it be the environment, growth, or being rooted in the great state of Michigan.